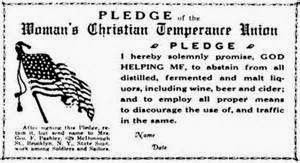 The Women’s Christian Temperance Union (WCTU) is celebrating 140 years as a national organization this month. 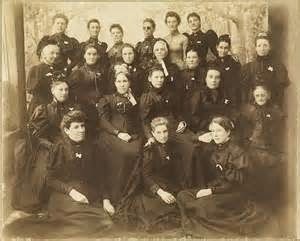 Founded in 1874, it is the oldest volunteer, non-sectarian women’s organization in continuous operation in the world. 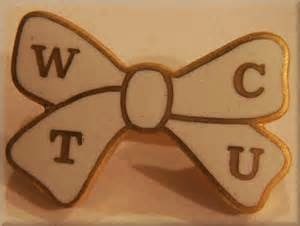 The main thrust of the original WCTU was to seek social reform in a non-violent, Christian manner. The women were determined to create a sober and chaste world by promoting abstinence, purity and Christian values. 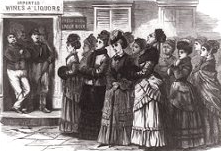 Within three months members had driven hard liquor out of 250 communities; the Temperance Movement was on its way. In 1879 Francis Willard, the group’s second president, took office and began to galvanize the WCTU to take a stand against social issues of the day. The group’s slogan, “For God and Home and Native Land” stated their priorities. Willard began to seek moral and humanitarian reforms along with temperance. The WCTU spoke out for abolishing alcohol, enforcing an eight-hour work day, paying a living wage, supporting abstinence and purity legislation, campaigning for national prohibition, providing better schools and education, and encouraging women to become involved in the fight for women’s rights, and the suffrage movement. Willard led the group for 19 years, focusing on these morale reforms across the country. During that time, it became the largest and most influential women’s group of the 19th century. Willard understood the empowerment women would gain if they won the right to vote and lobbied around the country for fair and equal treatment. 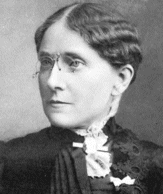 In 1891 she became president to the World WCTU. She died in 1898 at the age of 58. After Willard’s death, the group distanced itself from women’s issue and began again to target abstinence from alcohol. 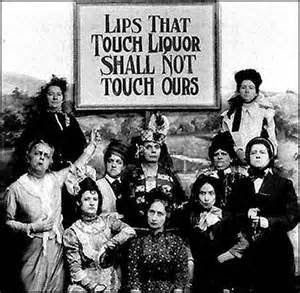 On January 16, 1919 prohibition was enacted with the passage of the Eighteenth Amendment. But on December 5, 1933 the so-called “Noble Experiment” ended when the 21st Amendment repealed Prohibition. In its heyday, the WCTU had over 370,000 members between 1920 and 1930. With the repeal of Prohibition, enrollment went down and dropped about 100,000 members during the 1940s and 50s. By 1980 membership had dipped down to around 50,000 worldwide. In 2012, the latest year for membership figures, the group claims about 5,000 members still active. 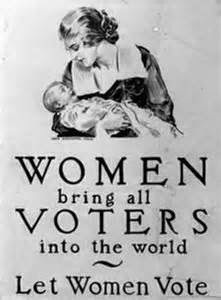 a woman’s right to vote; stiffer penalties for crimes against women; shelters for abused women and children; promoting child welfare; encouraging physical education for women; creating uniform marriage and divorce laws; homes for wayward girls; founding of kindergartens, federal aid for education; creation of the National Board of Education; assistance in founding the PTA; equal pay for equal work; legal aid; labor’s right to organize; prison reform; promotion of nutrition, and the pure food and drug act. The WCTU continues to operate today, standing up for social reform, and encouraging its members to sign a pledge of abstinence from alcohol, tobacco and illegal drugs. Throughout the years, the organization has also taken a stance against abortion, white slavery, and gay marriage. 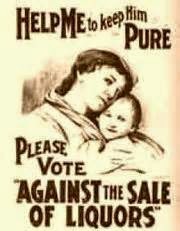 For more information visit the Women’s Christian Temperance Union’s webpage.